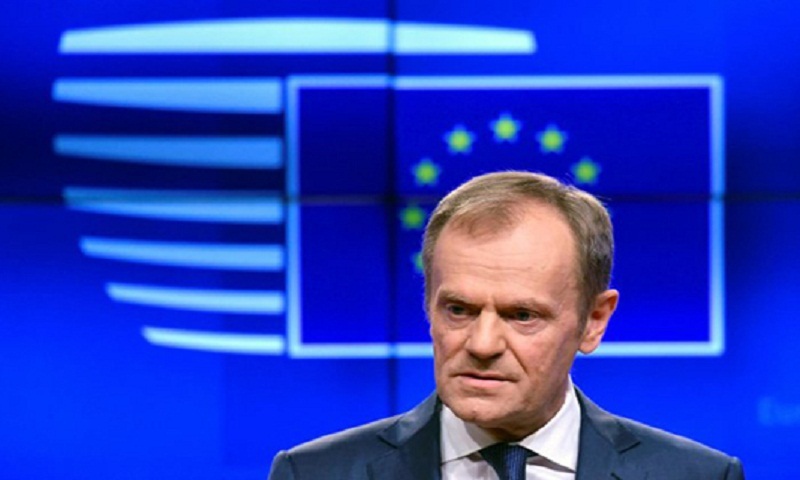 The EU could approve Britain’s request for a short delay to Brexit but only if UK MPs next week vote through the withdrawal deal they have twice rejected, European Council president Donald Tusk said Wednesday. With nine days to go before Britain is due to leave the bloc, the country is gripped by uncertainty with little consensus how to proceed and Tusk’s statement was received as an ultimatum to encourage lawmakers to get behind May’s deal. Lawmakers have twice resoundingly rejected May’s agreement, and a third vote the premier hoped to hold this week was cancelled by the House of Commons speaker on the grounds that the same vote could not be held again.